These codes are used by the patient’s health insurance company to determine the payment amount that the doctor will receive for his or her services. In other words, the health insurance company (the one actually paying for the services) wants to see what was done during a patient’s appointment. Hence, everything the doctor and the staff does has a code. Parents often think when they are looking at the bill that the doctor is nickel-and-diming parents, when in reality, it is the insurance company that requires the doc to show their work in this matter. However, had the doctor done that, the patient would have most likely gotten upset at the doctor. By treating the earache question during the wellness visit, the doctor runs the risk of not being paid despite doing the work. On the other hand, not addressing the ear ache, the doc runs the risk of upsetting the parent, who will probably think the doc is trying to squeeze another $30 copayment, which is clearly not the case. The health insurance company, in an effort to keep their premiums low, have shifted the cost to customers and their doctors. While in the past health insurance companies may have covered 100%, now they are reducing the monthly premiums but only covering 70% of one’s medical expense. Hence allthe high deductible plans out there. In our practice – which is a small three-provider practice – we see on average 60 to 75 patients daily. Add to that there are virtually thousands and thousands of different health plans. In fact, we have patients whose parents work for the same company, but because they are at different pay grades, have different insurance plans. Excellent article. What do you do, billing-wise, when you diagnose and treat an ear infection at a well visit for which the parent did not raise any concern? Or any abnormal finding for that matter? I always find that to be a gray area, especially when it has financial implications. We add a modifier 25 to the visit. If there is an issue with the parent later, I explain how the billing works and why there is an extra charge. I also mentioned that they are saving time by having the doc do both in a single visit. If it were up to the insurance company, they would have had the patient come back the next day. Such a great post. It’s high time patients know what goes on “behind the curtain”. The fact that they are not privy to this type of information, I believe, is a major contributor to the general sense of animosity and distrust towards physicians that is common today. This kind of transparency clarifies the many misconceptions circulating out there and would easily show patients that we’re all on the same side. Thank you for starting the conversation and for finally letting patients in. That is what I wanted to do. Give parents a glimpse of how things really are. I hope many patients read it. Thanks for the positive comments. Excellent article, Brandon! I especially like the statement above and wholeheartedly agree! Bravo! Thank you very much Charlene. I appreciate the feedback very much. Excellent post Brandon, very comprehensive, although long, but i really liked it. This is an important part of medical billing specialists job to be able to communicate this information to patients/families and i think this post could really help others who are learning medical billing should know about it. Hope you don’t mind, I plan on discussing your post here on my own blog? I know, the post is long. Normally I wouldn’t post something this long. But I felt I needed to give the entire picture and the whole story. Feel free to discuss my post or use it on your blog. What a great article. As a billing supervisor/commercial medical biller, I wish I could make every patient read this upon checking in. The hours of time our department spends explaining different scenarios each and every month to patients when bills are mailed is tremendous to say the least. At the same time, it is a bit ironic that I have the same conversations with my husband when he receives the EOB’s from your office (our pediatrician) and questions it. Thank you for explaining our job! Feel free to print it up and give it to people to read while they are in the waiting room. Although the post is a bit long, I do believe it needed to be in order to give a better picture of the situation. Just make sure to credit the work. Brandon, that write-up really is very good. As an insurance broker who has arranged insurance coverage with those insurance companies, we are often asked for help with claim payments and why the process is so complicated. We do spend a lot of time on the phone with customers and with the insurance companies to advise what is or is not covered. I am frankly at a loss to explain or understand why the insurance companies have complicated the process to the level that exists today. I am frankly at a loss to explain or understand why the insurance companies have complicated the process to the level that exists today. Actually, this one seems easy for me. There is only two reasons one would want to create confusion: 1) confusion brings loss of orientation, making things unclear and blurred in an effort to take advantage of people; 2) incompetence. I doubt the insurance companies are incompetent. Thank you stopping by and leaving a comment, Bill. Adding fuel to the fire: insurance companies contract with each practice to provide services for those insured for a specific fee, a fee much lower than the “retail” price. Thus those with no insurance who pay the doctor less than the “retail” price might actually be paying more than what the insurance company ultimately reimburses. Smaller practices may have a harder time negotiating fees with insurance companies. They just don’t have bargaining power. Great article; very comprehensive. I feel like we’re seeing more and more transparency today between patients and HCPs or physicians. Do you think healthcare tech trends (HCIT, mHealth, Social Media, EHRs, etc) are behind this? If not, do you think patients could benefit from mobile apps that inform them on physician practices, health insurance regulations, or drug information? Or is it up to the physician to inform? Great article! A basic source of confusion is health insurance is (mostly) not “insurance,” it’s pre-paid health care. My car insurance does not pay for a regular trip to the gas station to fill up or a routine oil change. Actually, I would say it is “partially” paid health care. We get people saying, why didn’t my insurance pay this? The assumption is, I pay my premium, why do I still have to pay for the doctor visit. And I have to explain to them, well, you are still responsible for part of the bill; your premium only covers 80% or 90% or 60% (whatever it is) of your medical expenses. That is often hard for people to understand. Thank you for the comment Ross. I get “I paid my co-pay every time I came in, why do I have a balance?”. If pressed about their deductible very few people are aware of what their deductible is or how it works. Admittedly, often times when discussing benefits with patients I get confused and desperately look for a way to make sense of it to them, thanks for the terrific analogy! Great article. This doesn’t just apply to parents, I wish all patients knew these things.Years ago, I worked for a doctor who treated the elderly. They found ti very difficult to understand their insurance and why we billed the way we did. Thanks for taking the time to write such an educational article! Thank you Holly. I appreciate the feedback. Patients I think view their Insurance like a credit card. i thi k the feeling is they spend so much per month on the premium alone that this should cover them completely. They sign their name to the line without even knowing what their insurance covers. Patient’s love to blame the physician. “you billed this wrong” and such. The insurance company are telling patients the physician is “billing wrong” It infuriates me to ne end. I get a dozen calls in a month telling me I coded wrong. Educating the patient is key. I think ultimately that is the solution to all of this. We must educate our patients. Thanks Brandon for the article. I often tell parents, we see over 10,000 visits in a year. Coding is how we get paid. Believe me when I say, we are pretty good at this. So the likelihood we “coded” it wrong is unlikely. In fact, it is in our best interest to code it correctly. Contrary, it is in the health insurance company’s best interest to say, the doctor coded it incorrectly. I try to drive it home by saying: Who has both our money right now? We are on the same team. But we are getting the short end of the stick here because the patient got the services, the insurance has the patient’s money and we are still waiting even though we did the work 4-weeks ago. I have yet to find a parent that doesn’t empathize with us after I have that conversation. I read this post almost 2years after it was written, and shared it at the office. It taught my new office assistant a lot more in a few minutes than anything I’d said all week long! A must read for every one new in a medical office setting and a welcome primer for the seasoned ones. Thank you Janelle. It is nice to hear that people find our articles useful. I always quote from your article, and never receive positive feedback from parents. Because we are a small practice (1 doctor, 1 nurse practitioner) these problem parents are big issues to our collections. When I give the example of a restaurant bill parents argue that they know ahead of time that it is an extra cost for them to order fries because the prices are on the menu, or the server tells them. Parents expect the same expectations of a doctor to tell them that they are being billed for an extra service at a well exam. If a doctor asks the parent if there is anything else they would like to discuss, and the parent has a laundry list of problems then the parent expects that to be covered. Parents will go as far as saying that if they didn’t know that that was an extra cost to there insurance or to them then the doctor shouldn’t expect them to bill them without there knowledge. That argument is hard for me, and I end up in a 20 minute phone call going no where. 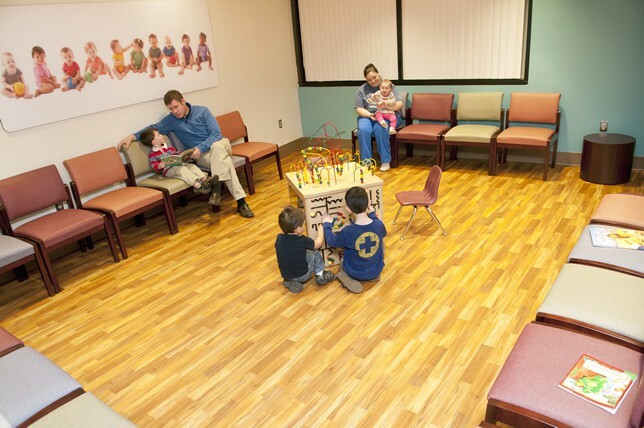 Also, hearing exams and vision exams seem to be covered at certain ages with certain insurances. How do we tell parents that it’s there responsibility when parents argue that the insurance company told them that it is ours?